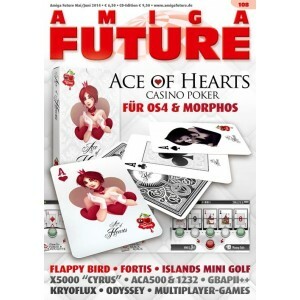 ACA 500 , ACA 1232 , Ace of Hearts , Flappy Bird , heir to the throne , Fortis, Islands Mini Golf , AmigaOS 4 Dockies , ViewCSV , Odyssey 1.23 KryoFlux Free. X5000 Cyrus , Demoscene , MuliPlayer games, backups , Classical Meditations 15 - Digital Creations and Progressive Image Technology . 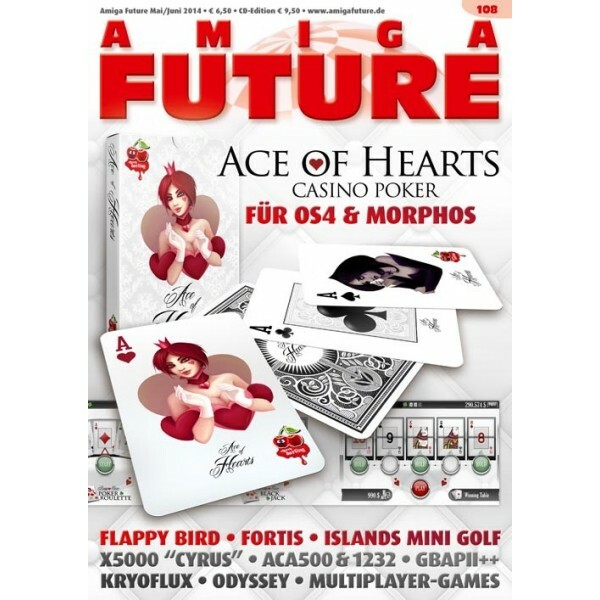 Interview Dierk Ohlerich , Interview Yesterchips , Grzegorz Kraszewski Interview - DigiBooster 3 , Editorial, Table of Contents , News , Contacts , content CoverCD , letters to the editor , preview .